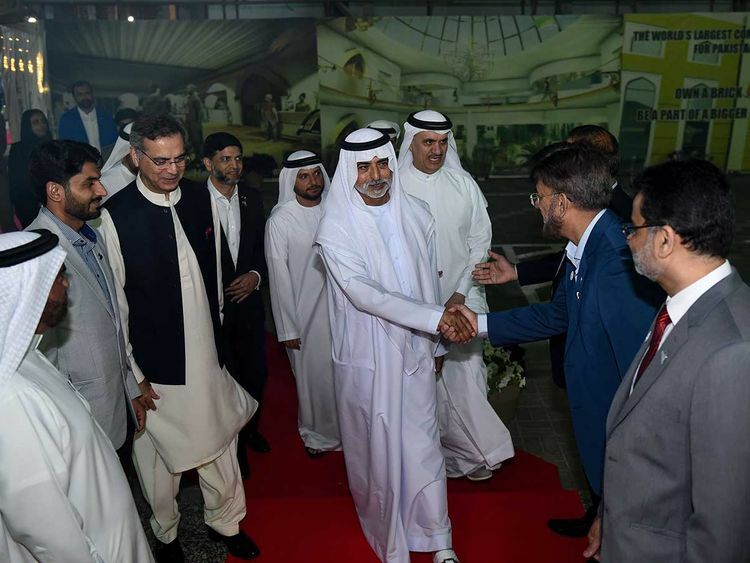 Dubai: The non-for-profit Pakistan Medical Centre being built in Dubai was showcased on Wednesday as a model of tolerance as various communities are contributing to its completion. “I admire your initiative in establishing the Pakistan Medical Center and commend the spirit of tolerance that will be at the heart of its operations,” said Shaikh Nahyan Bin Mubarak Al Nahyan, Minister of Tolerance, while speaking at the ceremony hosted by the Pakistan Association in Dubai to mark 79th National Day of Pakistan. 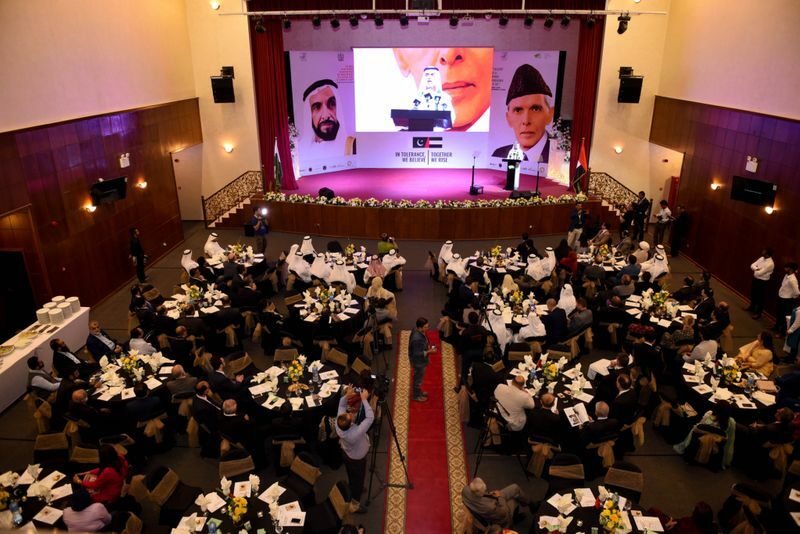 Leading Pakistani community members, Emirati officials and diplomats from various countries attended the event dedicated to the UAE’s Year of Tolerance. The Pakistan Day falls on March 23. “The new non-for-profit Medical Center will welcome all people who seek medical help, irrespective of their nationality, ethnicity, religious or philosophical beliefs, gender, political views, economic status, or age,” said Shaikh Nahyan. He noted that the medical staff at the center would be dedicated to treat each person in a humane and dignified way, ensuring that they receive the medical care they need and at the highest possible level of quality. “I thank all of you for this important initiative and I wish for the Center great success,” he added. 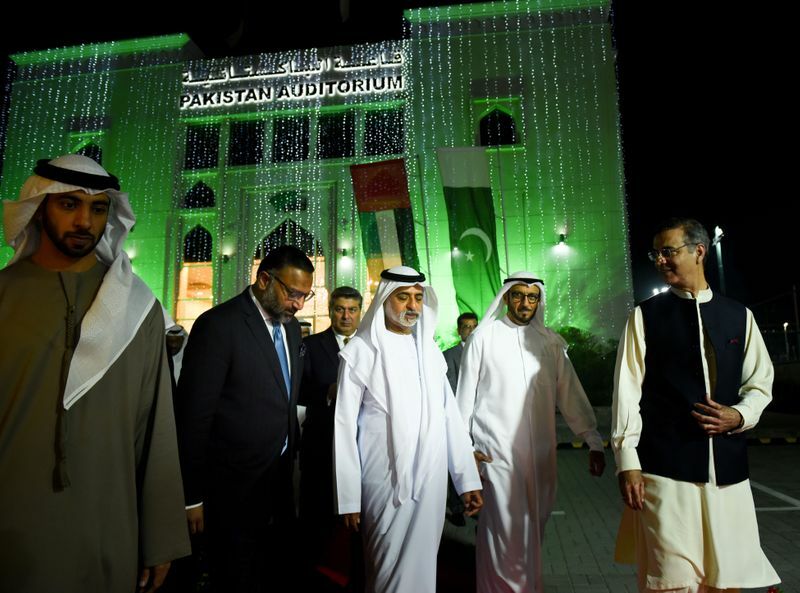 “In combining your celebration of Pakistan’s National Day with our celebrations of the Year of Tolerance in the UAE, you are, in fact, celebrating the values and principles that unite the peoples of Pakistan and the United Arab Emirates,” said Shaikh Nahyan. Shaikh Nahayan Mabarak Al Nahayan, UAE Minister of Tolerance, Moazzam Ahmad Khan, Ambassador of Pakistan to UAE, and other dignitaries during The Pakistan Day celebration at Pakistan Association in Dubai. The Minister of Tolerance said that the expatriate communities in the UAE, which include a wide and diverse group of business leaders and entrepreneurs, are vital to the ongoing tolerant and peaceful prosperity that we all share. “We are all in this together. My ministry stands ready to work with all of you to promote and embed tolerance as a natural way of living and working in the UAE and beyond its borders,” he said. Shaikh Nahyan also honoured those who contributed to the construction of the medical centre. The healthcare facility will be open to public in August this year and is the first of its kind in the UAE any expatriate community. Open to all nationalities, the Pakistan Medical Centre will serve people of all backgrounds and contribute to the Emirates vision of tolerance and social cohesion. Ahmad Julfar, Director General of Community Development Authority, said that launching this healthcare facility comes as an example of tolerance as it presents the social cohesion in a very nice way and shows the power of people in creating happiness for others and changing their lives for better. Julfar said that CDA works closely with the social clubs and associations like Pakistan Association to reinforce their role in Dubai community and to allow them to play the vital role expected from them to support the social development that they will always be part of. Shaikh Nahayan Mabarak Al Nahayan, UAE Minister of Tolerance, Moazzam Ahmad Khan, Ambassador of Pakistan to UAE, Ahmad Julfar, Director General of Community Development Authority and other dignitaries during The Pakistan Day celebration at Pakistan Association in Dubai. “Healthcare plays an integral role in social reconstruction of the society and we are happy to assist everyone through the not for profit heathcare facility” said Dr Faisal Ikram, President PAD. The need to build the medical complex arises given the huge number of poor patients turn up to attend the medical camp arranged by Pakistan Medical Wing at PAD during the last weekend of every month. Since 2009, they have received more than 26,000 partients at 150 free medical camps. The medical complex is being built based on a novel concept. PAD offers community members 12,000 bricks to own with a price tag of Dh1,000 for each brick in a bid to meet the total cost of Dh12 million for the construction of the building.